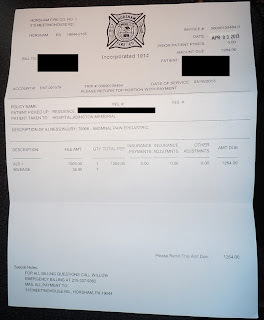 My neighbor was kind enough to let me scan the bill she just received from the Horsham Fire Department. She was experiencing so much pain from 2 kidney stones that she called 911 for help. She was in tears and curled up in a ball on the floor. So much pain that she couldn't stand up. The ambulance took her to Abington Memorial Hospital emergency room. No painkillers or other drugs were administered during the 7-mile trip. 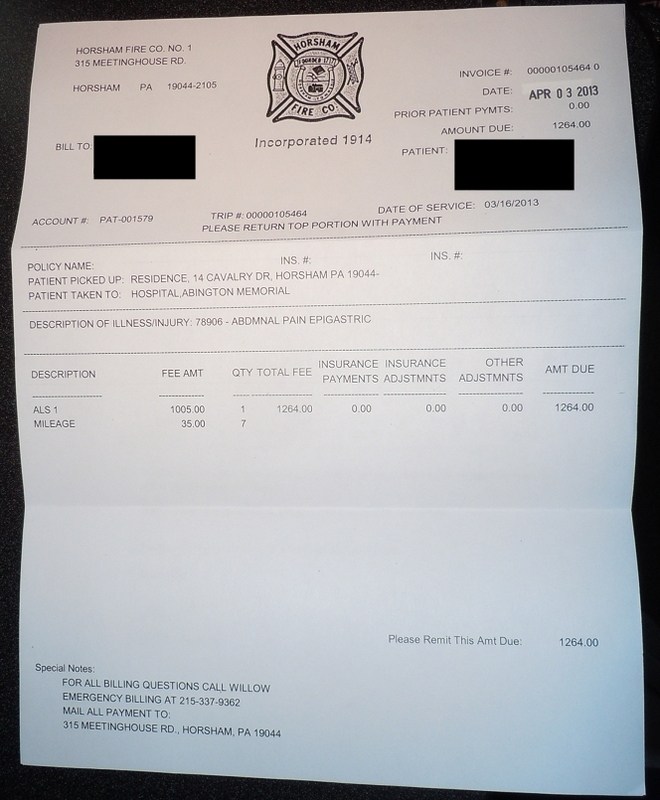 Total bill -- for the abulance alone -- $1,264.00. That's one very, very expensive, 7-mile taxi ride. Her heath insurance company, Blue Cross / Blue Shield, may not pay. This bill is under review. They may deem kidney stone pain a non-emergency.